Our cats are firstly our pets and companions, any breeding and showing success is a fortunate extra. Our breeding is based on a philosophy of keeping healthy and happy cats first and foremost. We are not commercial breeders, we do this as a much loved (expensive) Hobby. We do not live in small accommodation and do not have small pens for the cats with gardens that are made to look bigger than they really are. Photos online can be deceiving in terms of premises and health of kittens! We do not cut corners with our kittens - they have the best quality life and attention at all times. We do not need to "brag" about show results and we do not breed so many kittens to flood the shows in order to gain accolades such as best breeder bla bla. That is just achieved by sheer numbers of kittens bred and show attendances, it is not a recommendation for good breeding, healthy cats and kittens premises veterinary (or any other body) inspected. It is a sales ploy - nothing more. Of course we purchased Eventyrkatt Titania initially as a show cat. After lengthy discussion and learning the history of the breed from June we asked if we may have Titania as a breeding female providing she developed a good enough type. We enjoyed her development as a kitten to adult and stayed in touch with June and Barry - in fact we are the absolute best of friends from then to now - almost eleven years. June has been my inspiration and my mentor for this breed and I not only thank her for that but also for being such a wonderful friend. We learned very quickly that the Skogkatt was not doing so well of late - the cats were too small and fine boned and hardly resembled what they were or should be. Now for the challenge with June's help and advice we needed to do something about this. The first 10 years of breeding for us has taken us on a journey with much enjoyment and passion. We initially, as many breeders in the UK are still, not treated so well by other breeders and no one really seemed to what to help us get started. This was and still is a story many people will tell which is unfortunate. After applying to a few what we thought good breeders for a stud service for Titania we were promptly turned down due to the sire of her - not so popular we found - although we thought he was a very nice cat. The jealousy and control in some breeders we found quite ridiculous. On the one hand the breed needed a lot of work and on the other they all seemed to what to keep the breed to themselves. Our first goal we set for our first 10 years of breeding I have left on this page below - it will over time build up a type of diary of our time since the first days of our breeding programme. Anyway things moved on a pace when we decided if this is the way the UK breeders were then we would make our own arrangements and do it alone. This we did. We selected a lovely male for stud in Denmark whose bloodlines were not so well known here especially on his fathers side. We contacted the Breeder and secured now Champion DK Elkington's King of the Road. What a lovely boy he is too. We then imported Tigra de la Cachouteba from France - a lovely silver female who has a very old pedigree and to Odin produces kittens of excellence. During these past ten years we have imported a few cats and we have taken the journey to inbreed and line breed for a few years. This we did not take on board lightly at all., despite some breeders not liking the way we do things. Pedigrees of the cats used in this programme were checked and double checked, ancestors both in reverse and sideways were researched and as many breeders as we could contact we wrote and asked about any health issues. Our reason for breeding this way was to selectively breed for the strength of bone and size with good coats and temperaments - we wanted to fix these characteristics as size and coat quality is the main characteristics disappearing fast. Health is very important to us in our cats and in any progeny produced and to date in all the kittens we have bred, just seven are not alive today, five of those had been killed on the roads and two put to sleep, one caught an infectious disease and the other was put to sleep because he had symptoms of irritable bowel due to being fed the wrong foods! and when diagnosed and advised by her vet to place him on a prescription diet she complained about the cost (not that she was at all financially constrained!) - I even offered to pay for the food and asked for him back - but no - she put him to sleep anyway and this is one I cannot ever forgive or forget. Aside for that we have an excellent breeding record with people all over the word requesting our cats to further the breed in their countries. We are also achieving very good results on the show bench. Here are three examples of our breeding programme. First is Grand Champion Norgeskaukatt Skvala. Skvala was a result of a father to daughter mating. Sire: Champion DK* Elkingtons King of the Road and Dam: Champion Norgeskaukatt Drifa. Skvala is a very large 8 kilo male who has been regularly heart screened as standard procedure, as well as all of our cats regularly health checked. Skvala achieved Grand Champion in 6 straight shows with many best of breeds as well as a few best in varietiy and best in show semi longhair. We did start him on the Imperial Grand Champion route, he was much older and became a little temperamental being placed in show pens next to and around other entire males. - He did not enjoy their pheromones too much :-) so for now had retired him from the bench. 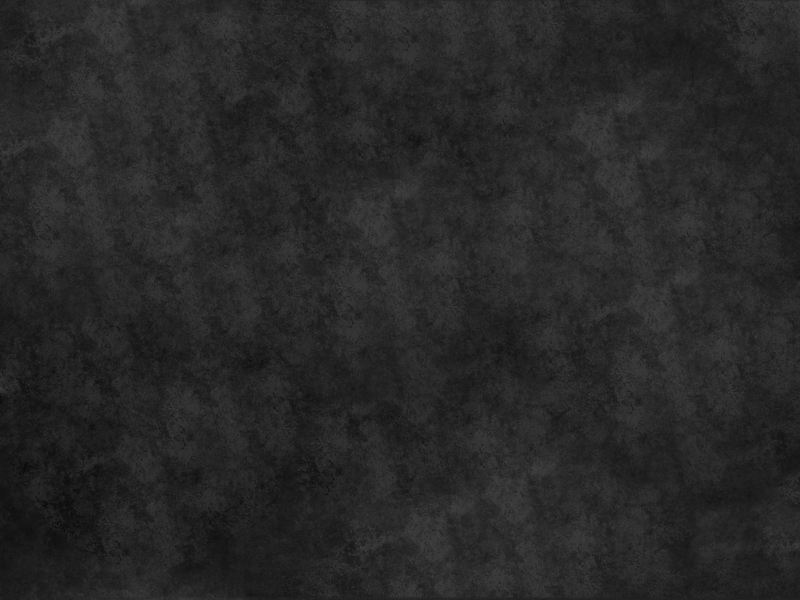 He will return this year. Our second example is Grand Champion Norgeskaukatt Gojenta-Mi. Mi-Mi as she is known. A daughter of Grand Champion Norgeskaukatt Skvala who was outcrossed to (N) Lotte Menotte's Presious, Presious. 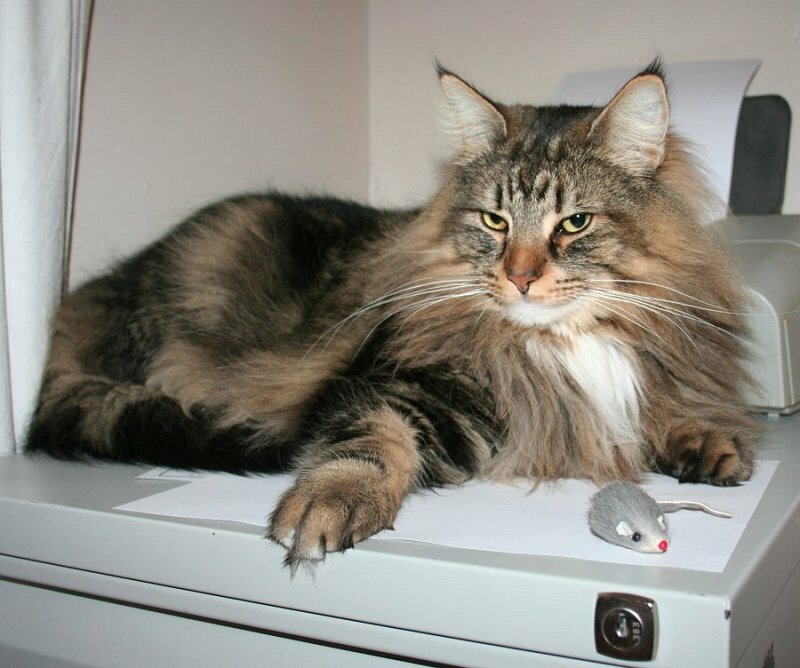 Presious is a very small Norwegian Forest cat whom we imported from Bergen in Norway. However, despite her small size she does have an excellent coat quality and lovely temperament and expression, in fact she has in her breeding time produced some outstanding kittens to all males she has been mated in combination with. Gojenta-Mi has followed in her fathers footsteps on the show bench. Achieving many best of breeds and best in variety as well as best semi longhair and before the age of 2 she became Grand Champion in 6 straight shows and has at this moment of writing 4 Imperial Grand Challenge certificates - needing just one more. Mi-mi also has her first Supreme UK Grand Challenge as we await the supreme next year to hope for her second and final. Gojenta-Mi excels in size for a female has an outstanding type and excellent boning and coat quality - she is to be mated in the spring. Our third example is one whom we are very proud of. Years ago a 10 kilos cat was the norm for males but the size has sadly gone in many lines now. In fact it is quite common to hear people say " if a breeder says 10 kilos they are either over exaggerating - or their scales are reading incorrectly or the cat is fat", well here is a boy at just 3 years of age who was weighed at the vets at 9.9 kilos and not an ounce of fat on him - he is solid and still growing. His name is Norgeskaukatt Esbjørn. Isn't he gorgeous. His father is Grand Champion Norgeskaukatt Skvala who was outcrossed to Tigra De La Cachouteba, a very fine breeding queen we imported from France with exeptionally old pedigree lines. Hopefully we will repeat this combination soon. Esbjørn is a neutered male who was homed as a kitten. He returned to us not so long ago for very good reasons, he has been looked after extremely well in fact he was totally adored, circumstances change and we are very happy to have this boy back. His previous owners will stay in contact with him which is lovely. Now we can produce cats of the old original type and size which has taken many years to get to this point we now have our initial goal achieved. We now move on to the next breeding generations. We have now finished our previous breeding programme and achieved what we set out to do - to breed good size and coat quality and bring back the boning. Moving forward into our eleventh year ( now 2011) we will now concentrate on our new breeding programme with the next generations of breeding cats. At the time of writing we will be running on a few kittens in order to select the correct balance and breed from the best types we have. This will be an exciting next few years for us. Our passion and determination to retain the original qualities of this breed has never waned in fact we are even more dedicated now. In the early days the Norwegian Forest Cat was in a very serious predicament and facing extinction. Norwegian cat fanciers in Norway worked very hard to preserve this breed by introducing a very strict breeding programme. Very proud of their "National Cat" their efforts have been rewarded. Their goal to preserve and promote this natural breed of cat has been attained since the 1970's. Sadly - the breed is changing, the size has been lost in many pedigree lines together with the all important coat texture and length and if this were not bad enough - we have seen the active promotion via some breeders and judges worldwide of the extreme long heads and other " fashionable traits". These cats are not supposed to have long heads at all and in some cases they are starting to resemble an oriental type in appearance - . The breed standard calls for an equilateral triangular head so where does the long extreme heads come from - also a concern is with a long and narrow head what is this actually doing to the inner organs. This is one of the changes that has profoundly upset the pioneers of this breed - and quite rightly so. After seeing a picture of a Black Norwegian Forest cat in a cat magazine Lorraine was almost overwhelmed by its sheer beauty. There is nothing nicer than seeing a mature black forest cat, the blacks tend to have a much wilder look about them which of course is the opposite of their nature. When we first became involved with this breed in 1999 our main priority was to breed from the old bloodlines as close to the original novice stock as possible. We have had the "real honour" of having contact and meeting with some of the original pioneer's (in Norway) of this breed to include Else Nylund of the Pan's Cattery and Helene Nordana a founder promoter of this breed as well as Gill Hart - ( now a great friend ) who actually bred these cats in Norway herself and introduced them to the UK in 1986 when she returned here to live, It has subsequently been confirmed that our initial opinions and reasons for breeding our way is in fact very much, now a need, to try and keep the original type and look of this majestic cat before it is lost completely which will not be very long the way things are going. This has happened to other breeds over time. We will not sit back and watch this happen to the forest cats. The true to type forest cat is a large cat with substantial bone, with good length, texture and density of coat. These are two of the main characteristics that have evolved in the forest cat to allow its innate ability to survive the harsh climatic conditions of the Scandinavian forests. Another important characteristic of the Norwegian Forest Cat is the "Wild Expression" this too is becoming far removed and being replaced by the "sweet look". A great many of the forest cats seen today are too small and fine boned, this combined with poor coat quality does not lead one to imagine they would survive well in their natural environment. We import and breed from the older pedigree lines close to the initial foundation breeding stock that originated in Norway. 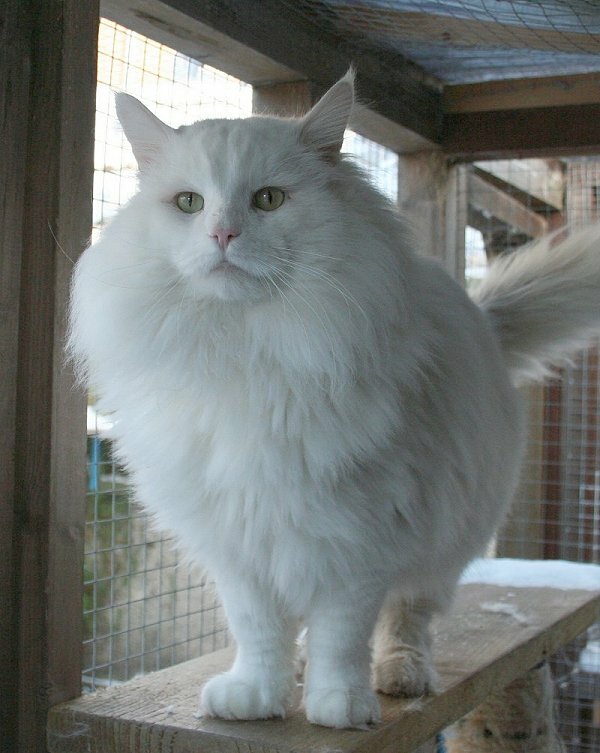 Our aim is to breed cats with more substance, try and get the correct size back into the breed and produce cats with good quality coats along with the all important good temperaments. and not to mention the wild expression that these cats are renown for. 11 years on we have now achieved this - it has taken much effort and planning and now we are embarking on our second stage of the breeding programme. We have bred from our initial imported foundation cats and the time is coming soon to neuter these and continue with the next generation hopefully improving from these too. Breeding is a very exciting hobby especially when there is a long term plan to work to and every day this hobby gets more interesting and joyful and I am more enthusiastic today and more determined than ever to keep these cats true. In the first instance we do not have any association with other UK breeders that import identical pedigree lines as ours unless they have cats of our breeding. 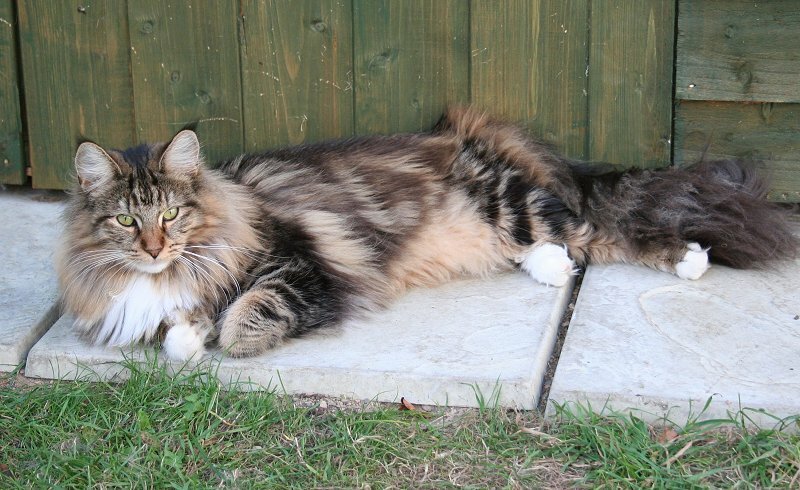 We breed Norwegian Forest Cats for two reasons. Firstly, because of the background history of this breed, being a naturally evolved cat who were so very close to extinction. We take our breeding very seriously and if honest - we are very protective of our cats and kittens. We breed only from our imported bloodlines. 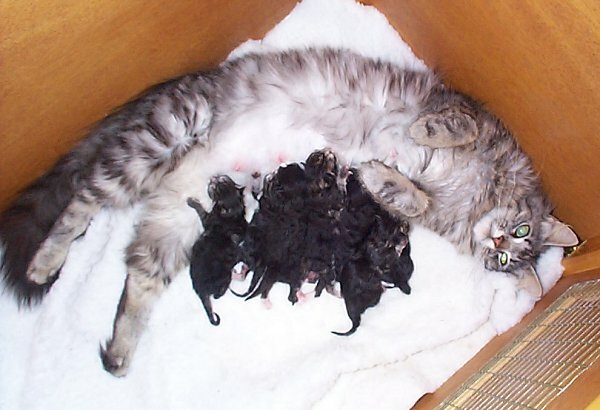 Our breeding programme does contribute in many ways to produce what we believe is a true type Norwegian Forest Cat. However, this breed is still in its infancy and of course will take many years of dedication by breeders worldwide to secure the real type of this cat. We should all be able to work together as an international group to monitor the overall health of the breed in general and it will be some years yet before one can relax in the know that all is well and this breed is no longer in danger of becoming extinct in the future. We have been very selective in our choice of breeding cats. November 2001 we visited an excellent dedicated breeder Lone Elkington ( DK*Elkington's) in Denmark where we selected and imported a stud boy Ch DK*Elkington's King of the Road, a Black Classic Tabby and White whom we call Odin. Odin is a 5th generation male with excellent boning and size. He is the product of an old Norwegian and Danish bloodline that has not been widely used. Much of his pedigree was new to the UK at the time of import. Many of his sons are attaining 5kilos at the tender age of just 6 months. Odin produces very good kittens that excel in size and type no matter which queen he is in combination with. We achieved our aim from the very first litter from Odin. We decided to keep one of this litter, a Blue - eyed White male named Norgeskaukatt Thor who, as a 6 month old kitten attained Best In Show Semi Longhair December 2002 and at 2.5 years of age attained 8 kilos. We took another trip abroad the same month to view another forest cat, this time to (N) Lotte Menotte's in Norway. A beautiful country. We selected and imported an excellent typed female (N) Lotte Menotte's Presious. 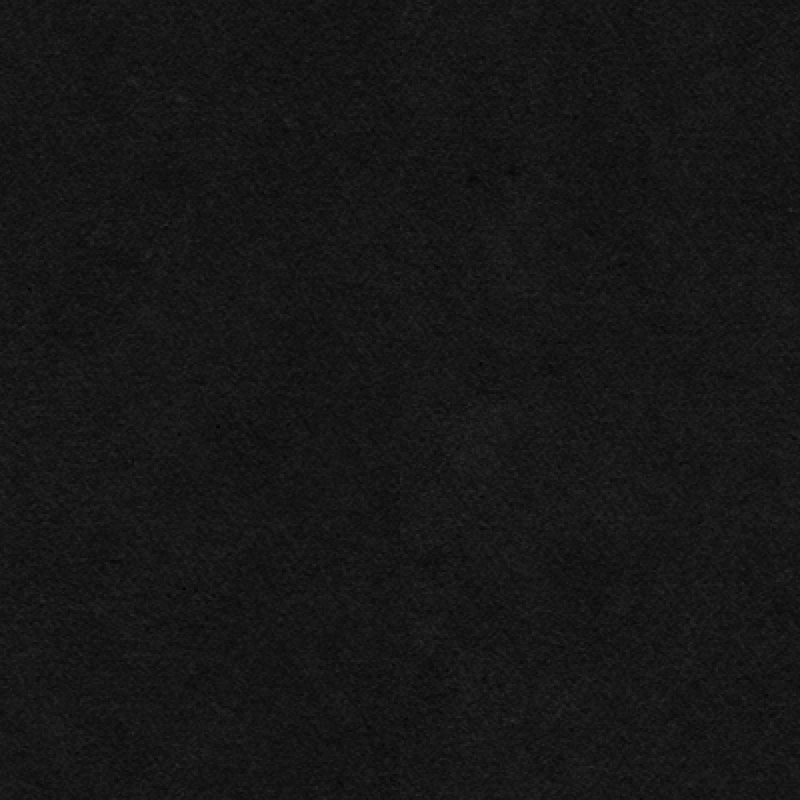 Presious is a Black Tortie. Another, mostly new bloodline to the UK. She is a great asset to our breeding program by contributing the important qualities of correct coat length and texture as well as the lynx ear tips, a really good profile, chin, head shape, good length of tail. She also has the wonderful wild expression. Her temperament is one of the most affectionate and charming I have ever seen in a cat. Tigra De La Cachouteba is a Silver Mackerel Tabby female from France. A very important 3rd generation female who excels very much so in size. When fully mature, she will be a very large girl indeed. Her temperament is very sweet and affectionate and she has lovely type. Two of the important qualities she does have is coat quality and boning. Many of the males have achieved 9 kilos or more at the young age of 18 months old and the females are also very good size. Champion (N) Selteteigen's Magnhildr - a female of stunning quality and temperament. Magnhildr is a 5th generation Forest cat and 2 further generation back is Truls - the original Forest cat who set the standard of the breed. Her coat quality is one to be envied. Magnhildr came from a very knowledgeable breeder named Ina Selte of Jessheim in Oslo Norway. Her breeding is from well bred lines including the infamous Pan's cattery from Norway. To say we are thrilled with her is an understatement. A great asset to our breeding program and her very old bloodlines will be preserved for years to come. Progeny from Magnhildr will be only sold for breeding to selected breeders worldwide who take seriously preservation of the old original bloodlines and type of this breed. Our two other queen's now neutered are mother and daughter. Tullami a Green - eyed White who is a 4th generation female. Although from the UK, Her father is a very handsome White Danish Import, Hakon Rein Felis Jubatus imported by the Kyrrekatt Cattery (UK). Eventyrkatt Galina whom we call Titania is a 5th generation from lovely breeders in the UK of whom are very close and supportive friends - June being Norwegian herself is our mentor for the breed - what could be better ! How we keep our cats. They all live together and underfoot with us all the time. Our Cats are not caged or permanently separated in different rooms in the house! They are not shut out in cat runs to live their lives with little or no real exercise, stimulation or the important socialisation with other animals and people. In our opinion it does not matter how large cat runs are, or how well furnished, cats are meant to be free roaming animals that cover a good sized area and territory gaining stimulation from their surroundings. It is a mark of the Forest Cat that they chose to be around people. There must not be anything worse for a cat especially a people orientated Norwegian Forest Cat than being kept in a small run all their lives with little or no stimulation or change of surroundings, some only seeing their owners for a short time - how can this be right? Cats need exercise for a good muscle tone and healthy heart and circulation I fail to see how this can be achieved if a cat cannot run. Socialisation is very important in the first few weeks of life, however, it does not stop there - as an adult these cats love to be around people - they behave much like a dog and love to help and follow their human around. Living their life in a cat run is not fair in our opinion. WE have cat runs (pics below show they are not quite finished) and they are used as an extension of our home, the cats are not shut out in these runs for their entire life. The cats have plenty of fresh air and they love it out there in the summer months - sometimes they choose to stay out sometimes they choose to come in - the point is they choose! Our cat runs are built to CIEH (Chartered Institute of Environmental Health) conditions and size specification. Our cats are free from Felv and FIV, Chlamydia, Feline Herpes Virus and Feline Calici Virus. We are not afraid of testing our cats to make sure they are fit and healthy before breeding. They have a virology test for Feline Leukaemia Virus and FIV antibodies. As with all female mammals their quota of eggs are already produced before the female is born - so from a genetic point of view we feel that any older than 8 years of age may not produce top quality kittens. We feel it is very important to do a blood chemistry profile on the queens from the age of 3 years prior to being mated. This is to ascertain that physiologically she will be in peak condition to carry and produce good strong and healthy kittens. We feel they are an important part of keeping cats and their subsequent kittens fit and well. Ill health can be as a result of many things and sadly, not all illnesses show outward symptoms until the problem is well underway - a good example of this is liver / kidney failure and diabetes along with many other disorders. There are many conditions that can affect felines and apart from the infectious diseases, some illnesses can be regarded at being genetically predisposed or inherited. Having blood profiles taken can alert one that all is not well at a much earlier stage rather than wait for outward symptoms by which time its usually too late!! 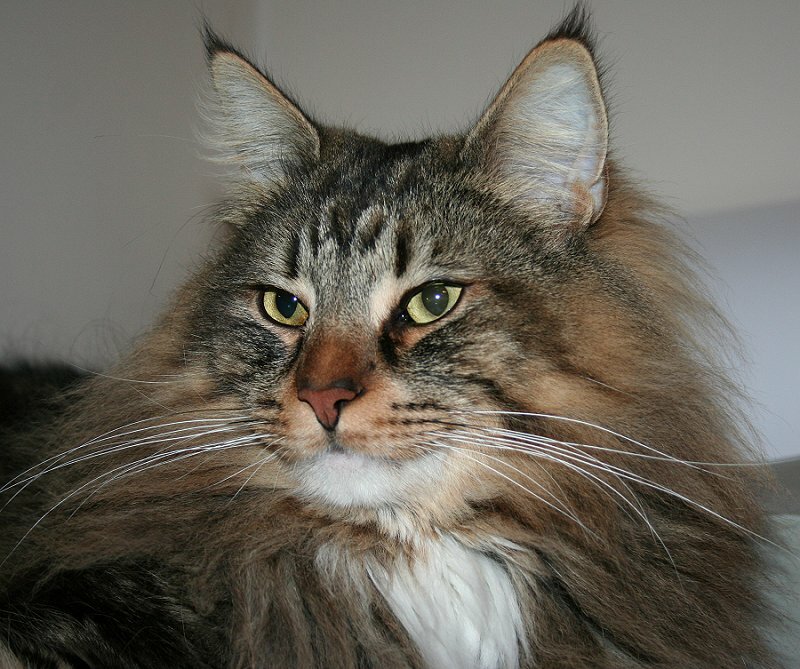 We breed the Norwegian Forest Cat with a commitment that will last for many many years to come. We do not re home our cats after they have served their breeding purpose they stay with us for life. We expect the same life time commitment to our kittens from any new owners. We will only deal with breeders who practise similar permanent homing policies. When buying a kitten find out how the cats are kept ! this will reflect their temperament and subsequent temperaments of the kittens. We are told by every kitten owner that they cannot believe how well socialised and affectionate our kittens are. This makes all the hard work worthwhile. Our cats including our males all live happily together. They enjoy the freedom of our home, combined with having a well furnished runs that are attached to the house, enjoying free access day and night, having plenty of exercise and stimulation and of course being around us continually they have loads of love!! They are also harness trained and they like nothing more than to go out for walks in the summer evenings catching moths and insects! We are a small breeding cattery compared to many others. We feel it is important to be able to have the time to give the deserved attention to the adult cats as well as the kittens. I am at home all day every day in order that I can do this. We do not know how some catteries can have such a large quantity of breeding animals and be able to give each one the important individual attention that each one needs and deserves. Our cats and kittens are raised in a loving home environment and much attention is devoted to the very important socialisation period for the kittens the most important time being 0 - 7 weeks of age. This ensures that the kittens develop with very sweet and affectionate temperaments. They are brought up with dogs and the other cats and are pretty well "bomb proof" by the time they go to their new homes. All of our kittens go to their new homes with a kitten contract that stipulate these two points.